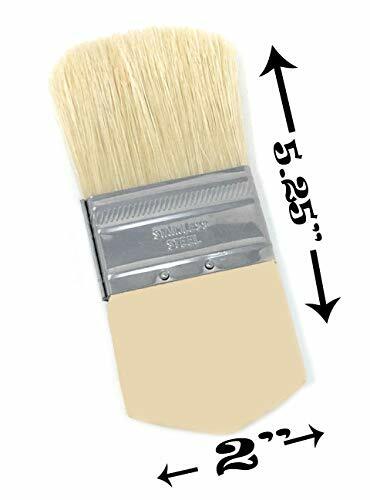 Soft Southern Strokes Wide Flat Brush, Paddle Handle, Natural White Bristle, Perfect for Chalky Or Milk Painted Furniture Finish, Creating Special Effects, Dry Brushing, Glazing, Blending of Colors. Contains high quality natural white bristle. This single-thick dome trimmed brush is set in a plated steel ferrule attached to a sanded paddle handle that fits comfortably in your hands. This brush is used for creating special effects, dry brushing, glazing, and the blending of colors. These paddle handle brushes are great to have if your involved in faux-finishing, glazing, this is a brush that you will get spectacular results with. 2" wide.